TROY, Mich., March 28, 2019 – Rehmann was named one of Accounting Today’s Fastest-Growing Firms in the United States, ranking among the country’s Top 100 Firms and Regional Leaders. Accounting Today releases an annual ranking of the largest practices in tax and accounting. The list includes the top firms’ growth strategies, service areas and client niches as well as a host of benchmarking data. The publication also recognizes a list of Fastest-Growing Firms, which is comprised of accounting practices with the highest 2018 revenue growth in percentage terms. Ranking 14th among the Fastest-Growing Firms in the country, Rehmann showed a 23.28 percent growth rate with revenue totaling $143 million in 2018. Only 20 firms reported growth above 20 percent. Rehmann was the only firm headquartered in Michigan to be recognized as one of the top Fastest-Growing Firms. Accounting Today’s 2019 class of Top 100 Firms and Regional Leaders showed a higher growth rate overall than the results released in 2018. The ranking features firms nationwide and in 10 major geographic regions. Rehmann is a fully integrated financial services firm of CPAs & consultants, wealth advisors and corporate investigators dedicated to providing clients proactive ideas and solutions to help them prosper professionally and personally. Additionally, through a unique combination with Trivalent Group®, a top 100 managed IT service provider, we have expanded our technology capabilities and launched a managed IT solutions practice. Rehmann has nearly 900 associates in Michigan, Ohio and Florida. Rehmann is an independent member of Nexia International, offering clients a global approach. Find us online at rehmann.com. Shoreline Foot & Ankle Associates Hires New Associate – Welcome Dr. Paparella! The addition of our new physician, Dr. Tarin Paparella, has added to our scope of practice, which now includes rearfoot and ankle deformities, ankle replacements, and ankle fractures. She also treats bunions and hammer toes, flatfoot deformities, fractures, and more. Dr. Paparella practices at our Muskegon, Fremont, and Ludington offices. She is currently accepting new patients! presence at the same time as it introduces new interactive teller technology in the local market. in the heart of the downtown. subcontractors as possible, she said. employees. 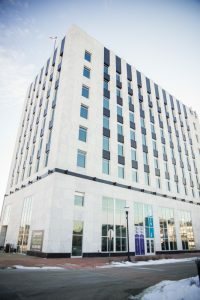 It has experienced healthy growth with annual average asset increases of 4 percent, Dietz said. A store that offers pet supplies, dog-wash stations and a grooming salon has opened in the region. Dan Skinner and Kasey Skinner and Craig LeMieux and Dianne LeMieux recently opened a franchise location of Livonia-based Pet Supplies Plus in Norton Shores, at 5729 S. Harvey St.
Morea Chiropractic Wellness Center of Fruitport would like to announce that the practice is celebrating its 17th anniversary during the month of March. Led by chiropractor Mike Morea, Morea Chiropractic provides non-invasive, drug-free pain management and injury rehabilitation, and complete wellness care to patients of all ages. The office also boasts state of the art technology, a supplement room and massage therapy. “Dr. Mike”, as his patients affectionately call him, graduated from Michigan State University with a degree in Biology. From there he went on to Life University to receive his doctor of chiropractic degree. Dr. Mike is an active participant in the Michigan Association of Chiropractors. He is using the anniversary of his practice as an opportunity to raise awareness about the benefits of chiropractic care and to encourage families to learn more about how chiropractic care would enhance their loved ones lives. Our mission is to help as many families in our lifetime by loving, giving, and serving. Following our mission we are extending a special invitation for new patients to receive a chiropractic exam and consult for only $17. On March 12th the office will be offering $17 adjustments from 4-6pm. All month long anyone can be entered to win the grand prize drawing of a one night stay at The Shoreline Inn and dinner at the lake house. Morea Chiropractic would like to thank the community for 17 wonderful years and they look forward to many more health focused years in the area. To learn more about MCWC visit: www.moreachiro.com or call the office at 231-865-7474. 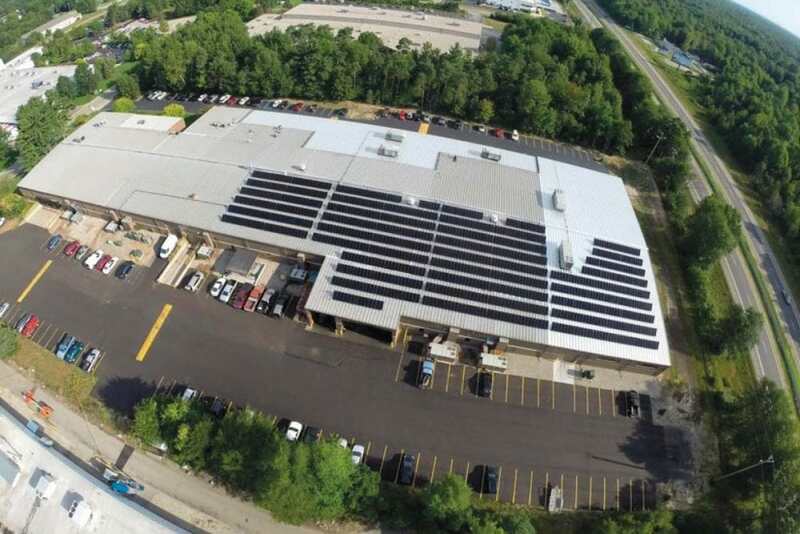 MUSKEGON — A West Michigan solar energy developer is pursuing new projects and job-training in low-income communities across the state that qualify for tax relief under recent federal tax reforms. The Tax Cuts and Jobs Act of 2017 created qualified Opportunity Zones that allow investors to defer taxes on capital gains meant to spur development in low-income areas. While most projects involve real estate development, some developers across the U.S. are beginning to explore the potential for renewable energy in Opportunity Zones. A unique concept positioning Mercy Health’s community health and wellness expertise on the forefront of turf sports and recreation in Downtown Muskegon’s L. C. Walker Arena. Mercy Health’s commitment to the Muskegon Lakeshore community has expanded! 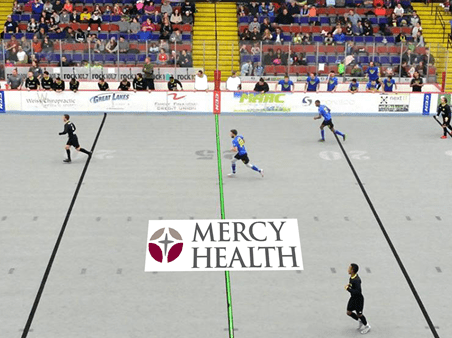 On Saturday, February 2 during the Muskegon Risers home game in L. C. Walker Arena, the Muskegon Lakeshore community will experience “Mercy Health Field” for the first time. The game will effectively launch a longstanding agreement between Mercy Health, Muskegon Risers, and West Michigan Ironmen that places Mercy Health on the forefront of all turf sports and recreation activities in L. C. Walker Arena. The concept includes Mercy Health’s logo at center field, arena signage, video monitors with engaging health and wellness content, “Mercy Health Field” listed on the Shoreline Drive Marquee and incorporated with all turf event & activity promotions. An online turf rental platform has also been developed to allow members of the Muskegon sports community to view turf availability and make reservations for practices, camps, and other turf-related community events. The creation of this platform will help maximize downtown Muskegon’s potential as a hub for health and wellness activity. TROY, Mich., January 31, 2019 – Rehmann’s Roger Webster was named the director of resource partners for the Michigan Society of Human Resource Management (MISHRM). MISHRM supports education to HR professionals including the importance of developing relationships with the companies that offer solutions in these functional areas. Companies aligned withMISHRM are recognized as important resources that every HR professional should be familiar with, in order to accomplish their jobs and support their organizations. Currently, there are over 15,000 HR professionals in the state of Michigan with approximately 3,000 of those being members of SHRM Chapters throughout Michigan. Webster will be responsible for maintaining and expanding Resource Partner membership for MISHRM. Beginning his employee administration career in 1995, Webster has tremendous experience in the HR, payroll and benefits outsourcing arena, performing in sales, marketing and sales management roles. He currently leads the HR solutions department at Rehmann. A graduate of Western Michigan University, Webster is a member and former board member of the Detroit Society of Human Resources Management. Grand Rapids, Mich., January 7, 2019 — Smith Haughey Rice & Roegge is pleased to announce the election of a new Chief Executive Officer, two new members of its board of directors, and the addition of a new shareholder. With these changes the firm continues to pass the mantle of leadership to the next generation. In addition to Wikander’s election, Smith Haughey also welcomes two new shareholders to its board of directors – Kristen E. Guinn and D. Adam Tountas. They join returning board members Cheryl L. Chandler, Kevin B. Even, E. Thomas McCarthy and Jason R. Sebolt. Kristen E. Guinn is a trial attorney in Smith Haughey’s Grand Rapids office who represents individuals and organizations in numerous types of lawsuits, including the defense of professional malpractice claims, contract disputes, employment matters, general liability and no-fault claims, and criminal matters. She has successfully tried cases and settled disputes for clients in state and federal courts throughout Michigan. Her clients include municipalities, small business owners, corporations, health care providers, landlords, attorneys and professionals. D. Adam Tountas is the chairman of Smith Haughey’s litigation department and specializes in the defense of complex, high-exposure civil lawsuits. He represents, among others, small and mid-market businesses, real estate developers, elected officials, and large municipal risk pools.